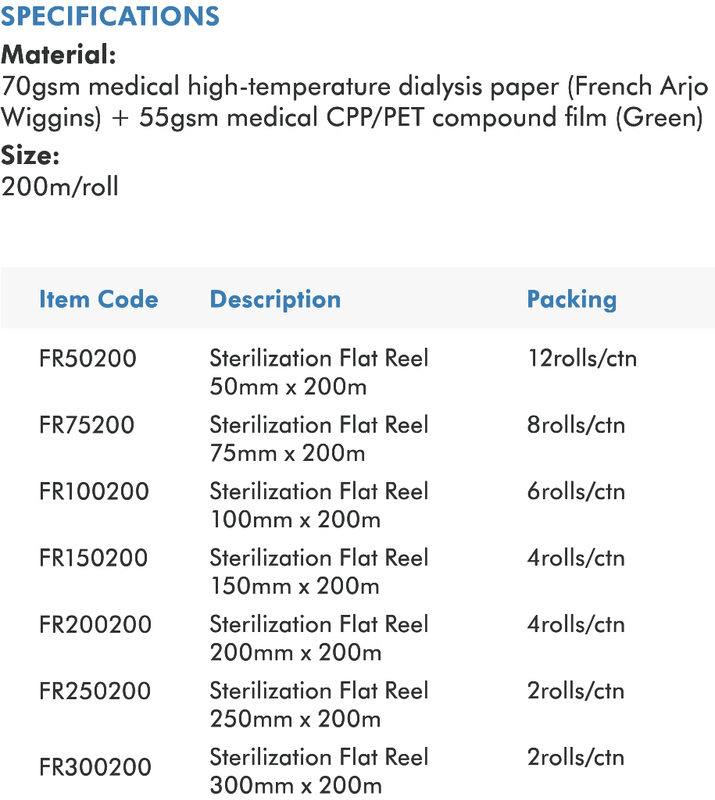 Made of high grade medical dialysis paper and CPP/PET compound film which can withstand high temperature. Manufactured according to EN868-5 and ISO11607 standards. The indicator used in the reel production is classified as Class 1 Type indicator according to the ISO11140-1 standard. It can be cut to the desired size depending on the goods to be pack for sterilization purpose. It is used for packing of medical devices before sterilization and it maintains the sterility of the products after sterilization. Duo indicator design suitable for both ETO and STEAM Sterilization methods. Under steam sterilization process, the indicator’s colour will turn black from initial blue. Under ETO sterilization process, the indicator’s colour will turn yellow from initial pink. The indicator’s colour has significant change and will never change back. Three sided explosion-proof design to prevent the package from bursting. Transparent compound film shows clearly what is inside the package.